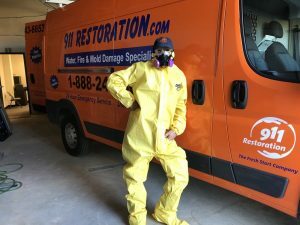 You don’t have to worry about water damage, fire damage, or mold growth if you contact 911 Restoration of Missoula as soon as you discover property damage. You can call us 24/7/365 to get professional help at your door within 45 minutes in Missoula, Hamilton, Lolo, and surroundings. The techs at 911 Restoration of Missoula can provide a free visual inspection for property owners only once they arrive at your home or business. Our techs are all IICRC certified to handle every aspect of the property restoration process, from removing water, to repairing fire damage. 911 Restoration of Missoula is a locally owned and operated company by Will Reid whom believes in offering premier restoration services to neighbors throughout Hamilton, Lolo, and surrounding areas. You can count on us to handle emergencies with thoroughness and hard work. Here at 911 Restoration of Missoula, our goal is always restoring your property to the perfect condition you deserve. Contact us today to let us provide you with the Fresh Start you need after experiencing property damage. Homes and businesses that experience water damage can end up suffering from structural damage and mold growth. Getting professional help right away from 911 Restoration of Missoula can limit the overall costs of restoration. 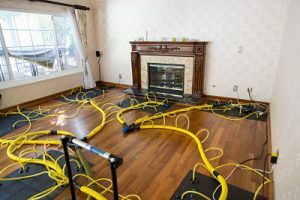 911 Restoration of Missoula uses professional-grade pumps and air movers to quickly and effectively remove water from your home or business. Getting the water out of your property can stop additional damage from occurring. Technicians can handle water damage caused by frozen pipes, sewage backups, or rising flood waters. Note that frozen pipes are a real risk in the winter time as well as flooded basements, as temperatures drop around Hamilton and Lolo. You can get help right away if you are dealing with a flooded basement or any other plumbing disaster. Call 911 Restoration of Missoula to get professional service within 45 minutes. Moisture from burst pipes or flooding can increase the level of moisture in your home or business. Mold spores can take advantage of this to begin rapidly growing in your property. You don’t have to try to stop mold growth on your own. In fact, trying to remove some types of mold can be dangerous if you do not have the proper protective equipment. 911 Restoration of Missoula uses top-of-the-line equipment to handle mold removal. Techs can offer you a free visual mold inspection for property owners only to begin the mold remediation cleanup process. You can count on us to thoroughly remove all signs of a mold infestation from your property. 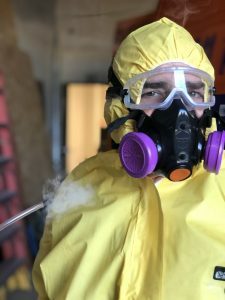 The mold removal technicians with 911 Restoration of Missoula focus on cleaning and disinfecting your property if you notice a mold growth infestation. Let us get to work before mold spores can spread any further. Sewage backups are one of the most severe examples of property damage you can face. Sewage is mostly water, which means it can flow quickly through your home or business, leaving destruction behind. Additionally, sewage contains many contaminants that can endanger your health. Due to the health risks associated with exposure to sewage, it is highly recommended that you do not attempt to cleanup a sewage backup on your own. Put your trust in sewage backup cleanup techs at 911 Restoration of Missoula. Our crew uses specialized protective equipment to handle sewage cleanup. We can extract the sewage from your home and business quickly, and the techs know the proper procedures to dispose of contaminated sewage. Getting professional help also ensures that the odors associated with sewage will be removed in the restoration process. Call 911 Restoration of Missoula and your property can be restored to perfect condition after a sewage backup. Many types of property damage are caused by water, but not all of them. Fire can also be a very destructive force. In fact, even a small fire can cause significant damage to homes and businesses around Missoula, Hamilton, and Lolo. The techs at 911 Restoration of Missoula are licensed, bonded, and insured to handle fire damage restoration. We utilize professional techniques like sodablasting to clean up the damage caused by a fire. As a full-service property restoration company, 911 Restoration of Missoula can also take care of any water damage caused by sprinklers or fire hoses. The help you need to recover from a fire is only a phone call away. Let us spring into action to return your home or business to the pristine condition you deserve. Most property owners don’t plan on how they will handle a disaster. There’s just not enough time in the day to develop plans to handle floods, fires, mold infestation, or sewage backups. Fortunately, knowing the best ways to handle disaster restoration is our specialty at 911 Restoration of Missoula. Disaster restoration requires fast, decisive action. In the event of a disaster, 911 Restoration of Missoula can repair your roof or board up your property. You can also count on us to protect your possessions by packing them out and storing them somewhere safe. After a disaster has passed, you can rely on 911 Restoration of Missoula to test your property for structural damage. We even offer free insurance consultations, to remove as much of the stress from the property restoration process as possible. Here at 911 Restoration of Missoula, we believe that you deserve help from a company that cares about your and understands what you’re going through. Contact us now to get complete home restoration services started immediately.